> Nonprofits inform their supporters about our program and introduce our local REBSEA member(s). > You can invite local Nonprofits that you want to support to become NPO Members of REBSEA (at no cost). > You are a member of a National Nonprofit Trade Association that recruits and collaborates with Nonprofit Organizations across the U.S. and Canada. > You are listed in a Nationwide Directory of REBSEA Members who want to help their community by Giving Back. > Your profile and contact information is seen by members of your community who know that you donate to causes they care about. > Make a donation to a Nonprofit Organization in your community when the public chooses to do business with you because you support a cause that they care about. > $100 annual REBSEA dues. > Refer business back and forth with other REBSEA members and encourage other business people in your community to join REBSEA and create a local referral network. 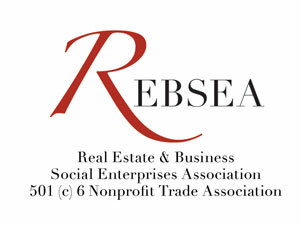 > Reach out to local Nonprofits that you want to support and invite them to join REBSEA (at no cost). We provide templates and 'tools' to do this.